CANNES 2011: The UK put in a stellar performance at this year's Cyber Lions with AKQA, Sapient Nitro and Toaster London carrying off Golds, while the top prizes went to US shops Google Creative Lab New York, W+K Portland and R/GA New York. 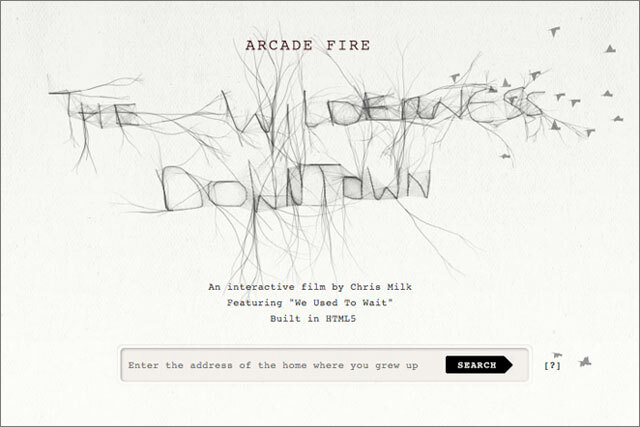 Three Grand Prix were awarded in the category with Google Creative Lab's "the wilderness downtown" interactive short film for Google Chrome and Arcade Fire, Wieden+Kennedy Portland's Old Spice "response campaign" and R/GA New York's "pay with a tweet" social media work for Innovate Thunder each bagging a Grand Prix. UK agencies scooped 16 awards in total. Golds went to AKQA for its Heineken "starplayer" app, Sapient Nitro London for Footlocker "sneakerpedia," and Toaster London for its YouTube "life in a day" campaign. AKQA also scooped a Silver for its Nike "Football+ team edition" coaching app, and a bronze for Nike Women "training club". A Silver was awarded to R/GA/London for BNP Paribas' "we are tennis" website and TBWA\London won both a Silver and a Bronze for Skittles "super mega rainbow updater". Bronzes also went to DDB UK for Volkswagen "true life costs," Mother for Ikea "happy inside," Euro RSCG London for Dulux "Dulux walls," Foam London/Sony Music Entertainment UK Creative London for RCA "hurts don't let go," Rainey Kelly Campbell Roalfe/Y&R for Land Rover "claynation interview," W+K London for Nokia's "world's smallest character animation," Santo London for Diesel "Diesel island," and W+K London/glue Isobar's joint entry for Nokia "own voice". Nick Law, Cyber jury president and R/GA's executive vice president and chief creative officer said the "depth and quality" of the work entered was the best the jury had ever seen. Three Grand Prixs were awarded to reflect the diversity of the winning entrants, according to the jury. Law said the decision to award the top prizes was "the swiftest ever in the history of juries". The US and the UK were the strongest performers in the category, with the US picking up a total of 25 awards out of a total of 81 prizes awarded.